Designed to take even the toughest attacker to his knees. 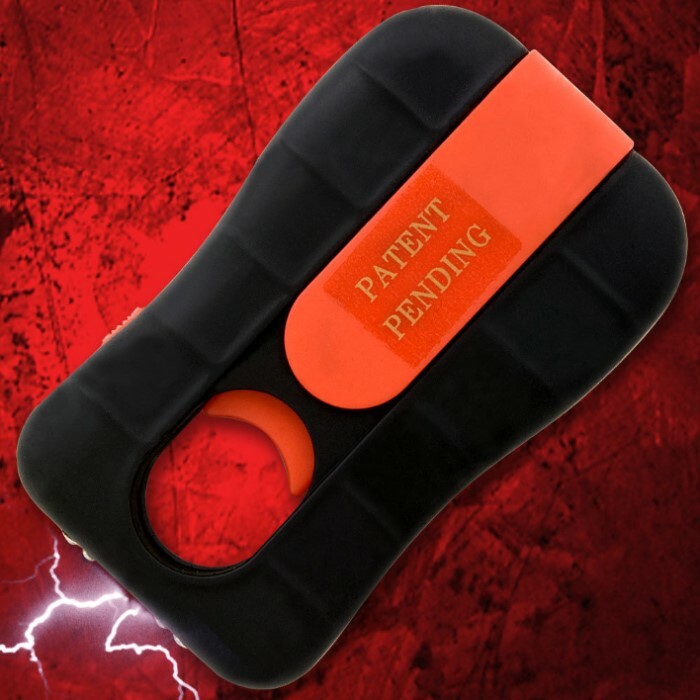 With an amazing one million volts in the palm of your hand, you'll never feel unprotected again. No batteries or chargers needed just plug the unit into the wall with its built in charger, wait a few hours, and you are ready to go. A safety switch on its side ensures no accidental trigger pulls. Includes belt loop carrying case. 3 1/2" x 2" overall. 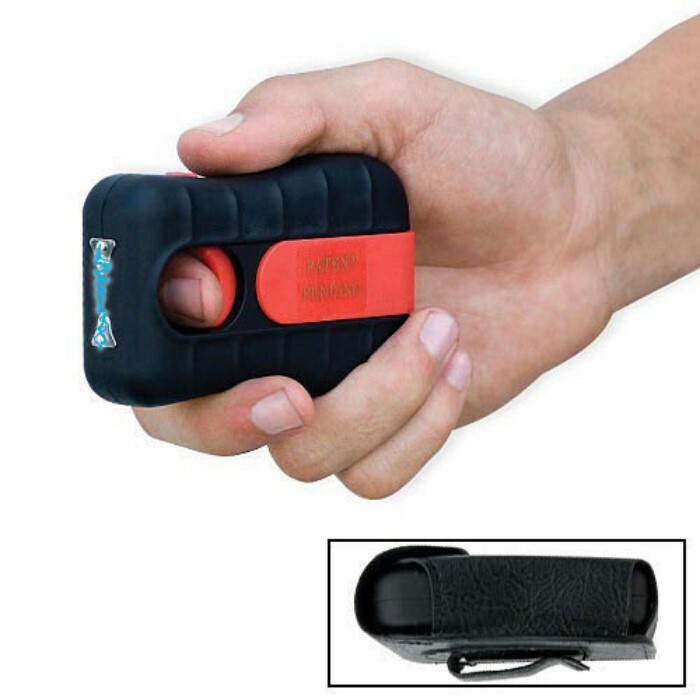 The center trigger location lets you hold this compact device similar to how you hold a pistol, and the hole helps ensure a tight grip while you thrust and push the device. AS advertised. Easy to carry. Have not used it yet, but it sounds powerful. Hope I do not get in a position to use it. I feel sure it will work great if I need it. I bought one for my wife and it is neat it is small and easy to carry I think I will buy three more for my daughters hope she never has to use it but with that zap I think it will put you down Love it. kind of a scary little stun gun. i've dropped many people who i did not want to fight with mine. packs a massive punch. charging is simple due to it just plugging into a wall outlet. I bought this for my wife and it came with a leather pouch with eyelets cut out so you can use it while its still in the holster it also has a built in plug so it goes directly in the wall to charge no battery needed. Also it came charged and when I tested it...WOW!!! Heck no I didn't try it on myself...I was going to until I heard that son-of-a-gun zap,zap. Believe me they say one million volts....and if its not it's d*** close...I don't wanna be on the business end of that!!!! GOOD JOB BUDK, I'll be ordering again soon!!! Just as it advertised. 100kv. this little thing is a killer. Its easy to charge, as long you adjust it with some stuff.